Hunter Douglas window fashions, the leading window fashions brand in the U.S., is committed to providing quality and innovative products and offers you choices in window coverings you won’t find anywhere else. Choose from a wide variety of product designs made with fabrics and materials that come in a range of opacities offering privacy, light control and energy efficiency along with multiple operating systems, including motorization, designed with ease of operation and child safety in mind. 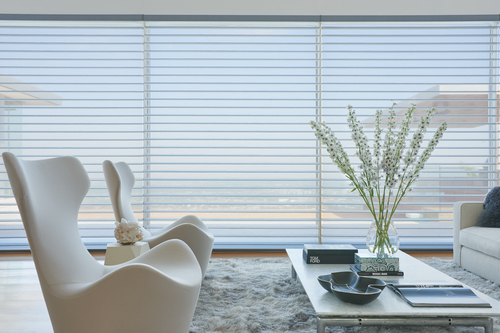 Venetian Blind Carpet One Floor & Home carries the full-line of Hunter Douglas window fashions including roller shades, screen shades, woven wood shades, wood blinds, honeycomb shades, window shadings, and shutters. Our experienced staff is fully trained to properly measure and install your new window treatments to make your life easy!